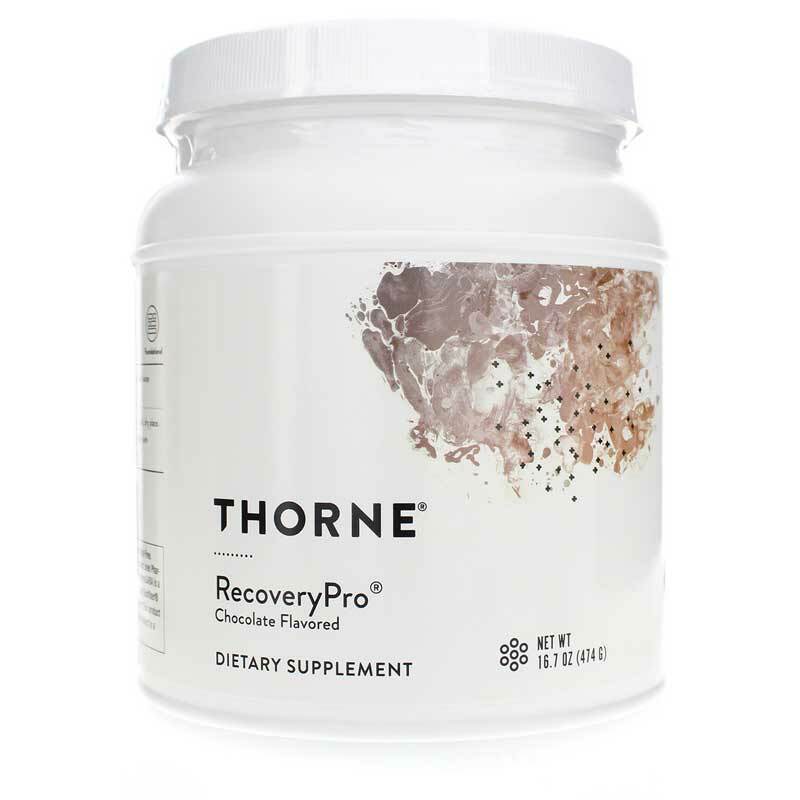 RecoveryPro from Thorne Research is a blend of alpha-lactalbumin, natural-source GABA (PharmaGABA), and magnesium bisglycinate - in a chocolate-flavored powder that mixes easily in water and tastes great hot or cold. 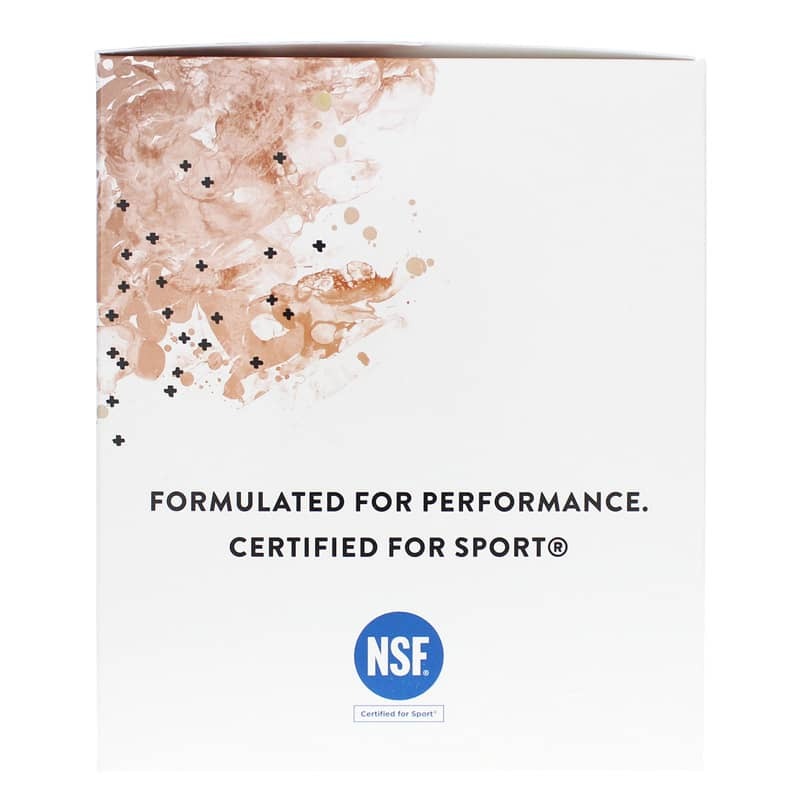 It is NSF Certified for Sport. 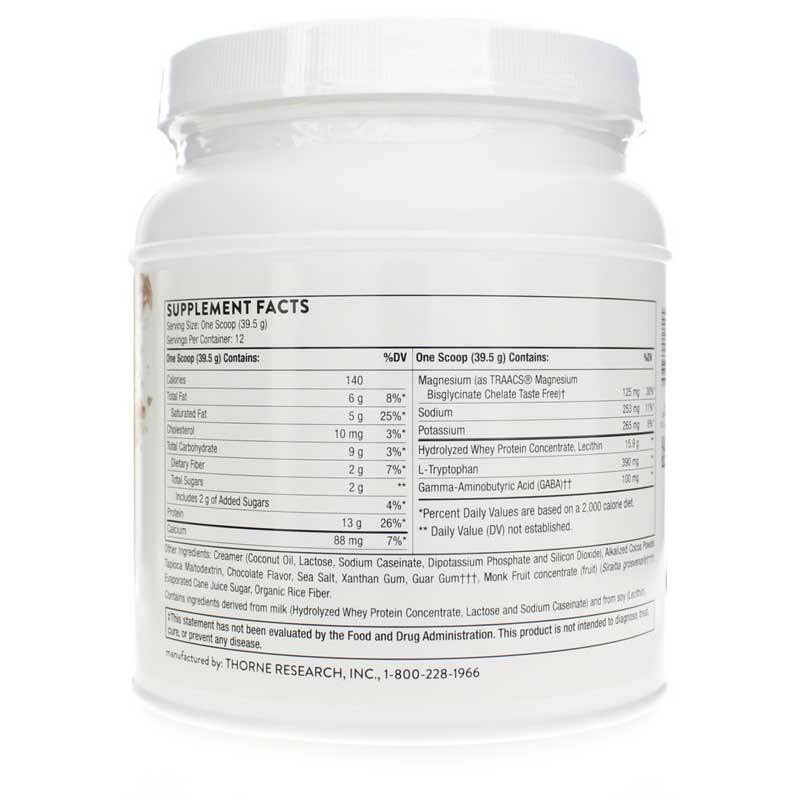 Other Ingredients: Creamer (Coconut Oil, Lactose, Sodium Caseinate, Dipotassium Phosphate and Silicon Dioxide), Alkalized Cocoa Powder, Tapioca Maltodextrin, Chocolate Flavor, Evaporated Cane Juice Sugar, Sea Salt, Monk Fruit concentrate (fruit) (Siraitia grosvenorii), Guar Gum, Xanthan Gum, Organic Rice Fiber. 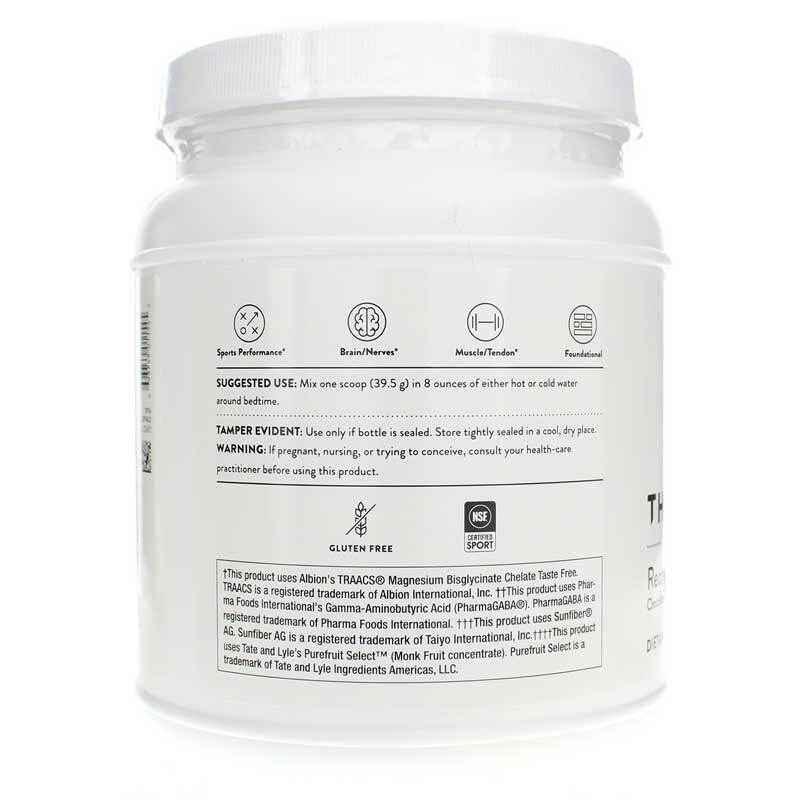 Contains ingredients derived from milk (Alpha-Lactalbumin I.P. and Sodium Caseinate). Adults: Mix 1 packet with 8 ounces of either hot or cold water around bedtime. If you are pregnant or nursing or trying to conceive, please consult your healthcare professional before using this product. Keep out of the reach of children.